This private healthcare practice is based on Harley Street, London and provides UK-based and international patients with a range of private GP services. Offering round the clock care, complete healthcare packages and the latest technology The London General Practice Harley Street continues to be a leader in medical excellence. 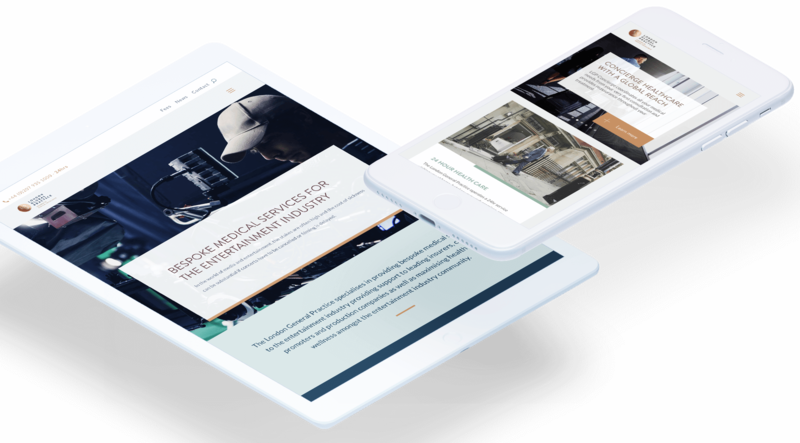 We were enlisted to help develop the build of a new website for The London Gereal Practice. Following the designs supplied by Perryduke.com we constructed the numerwous page layouts and templates, navigation menus, and responsive screen layouts. Following the development of the new LGP website we continue to provide ongoing services including Search Engine Optimisation, SEO reports and ongoing web updates.